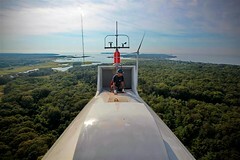 Opponents of two wind turbines in Fairhaven, MA have long since proven that they're, as the Car Talk guys would say, non impediti ratione cogitationis. But somehow they've managed to step up their game to a new level. The Standard-Times reports today that members of the group Windwise have spent months scouring the area under the turbines for wildlife impacts. The fruits of their efforts? Two dead bats and one dead bird. Now, those of you who ARE encumbered by the thought process may say, only a few dead critters with no direct evidence of impacts over several months, all while saving thousands of pounds of air pollution? Sign me up! [Windwise member Louise] Barteau said she called the Massachusetts Department for Environmental Protection on Monday but officials there seemed skeptical of her reports because "they were coming from Windwise." "He thought we were planting evidence or something," she said. "But we found a decapitated bird the other day; it was the turbine. None of us are out there with cleavers hacking off bird heads to make a point." Let's set aside the implausibility of a 130-foot-long dull-edged turbine arm somehow managing to perfectly guillotine 3-inch-long bird. When you have to deny that you'd cut off bird heads to further your quixotic cause ... well, maybe it's time to find a healthier hobby. Coal giant Peabody Energy promoted the controversial Prairie State Energy Campus to public officials in Virginia and seven other states as a cheap, long-term source of “clean coal” power. But a new report from the Institute for Energy Economics and Financial Analysis (IEEFA) charges that the troubled coal-fired power plant and coal mine operation will end up costing cities and towns in Virginia up to 100 percent more for that power than what was promised. The Prairie State Energy Campus is a 1,600-megawatt, coal-fired electrical power station and coal mine under construction near Marissa, Illinois, less than 50 miles from St. Louis. About 95 percent of the project is being financed by more than 200 local government units in eight states: Virginia, Ohio, Kentucky, Indiana, Illinois, Michigan, Missouri and West Virginia. "Clean coal" was always a lie and its death sealed the coal industry's fate. But just as it was with tobacco, Virginia remains filled with apologists who know it's easier to say what people want to hear and cash industry checks than to speak the truth. 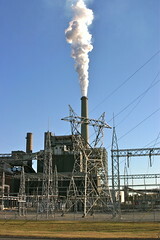 And Democrats like Tim Kaine and Mark Warner are just as much a part of the problem as Republicans - they may vote the right way sometimes, but their pro-industry rhetoric supports the bipartisan smokescreen that hides the truth that cigarettes cause cancer coal-fired power plants are deadly, expensive, and outdated. With reality denial dominating the Republican Party platform, how will Republican National Convention delegates reconcile that the start of their 2012 gathering in Tampa was delayed by climate-fueled extreme weather? First, let's be clear: It's Big Oil-funded GOP leadership that's the problem, not rank-and-file Republicans. While virtually every Republican member of Congress and national party leader rejects climate science, 43% of rank-and-file Republicans see “solid evidence of global warming” according to the Pew Research Center. Dig a little deeper and those numbers should be even more eye-catching for GOP leadership. Among moderate Republicans, 63% see evidence our climate is changing. And what about Republicans who say they still haven’t made up their minds in the presidential race? Cooperative Campaign Analysis Project polling shows they’re only half as likely to deny the scientific reality of global warming as Republicans on the whole. Polls show Republican voters support solutions, from a revenue-neutral carbon tax to giving Americans more low-carbon transit options. But Mitt Romney’s website doesn’t even mention climate change. While Romney himself once advocated for clean energy & carbon pollution cuts, he now rejects climate science. Romney’s energy plan unveiled last week contains mostly giveaways to the oil industry and polls show it hasn’t helped him with voters - no surprise considering Big Oil remains the most hated industry in America by a wide margin. Isaac bears down on the Gulf Coast. The Republican Party was forced to cancel the convention’s first day in Tampa as Isaac sent tropical storm warnings up along the Gulf Coast. Isaac is now forecast to make landfall as a hurricane near New Orleans late Tuesday. Global warming is making storms more intense by adding the fuel of warmer air & water to their fire, while rising sea levels raise the launching pad for storm surges. Bracing for a storm surge at the pump. The threat of Isaac is already shutting down oil rigs in the Gulf of Mexico, threatening to raise gas prices. It’s one of many ways that global warming threatens America’s energy infrastructure, and a problem that won’t be solved by relying more on offshore oil drilling. Arctic Sea ice melt scorches previous record. This summer’s Arctic Sea ice has already receded past the previous record - and there are still weeks of melting time to go. That’s bad news for the polar bears and other wildlife who depend on sea ice for survival. There’s also increasing evidence that a warming Arctic means more weird weather here in America. America’s sweltering summer. This year has been the hottest on record in the United States, with July 2012 going into the record books as America’s hottest month ever. Globally, 2012 has been the 10th-hottest on record, nearly 1 degree F above the 20th-century average. That it’s only 10th speaks to how much & how quickly our climate is changing – up until 1998, 2012 would’ve been the hottest year on record. From a strictly political perspective, here's the real problem for Republicans: Advocating inaction isn't just stupid, it makes Republicans look weak. Reasonable people can disagree on the best way to respond to climate change, but who gets excited about a candidate who denies we have a problem and bad mouths America's ability to solve it? Mitt Romney's clean energy opposition is already costing him votes in farm states that have seen the economic windfall that harvesting clean energy can bring. If the Republican Party wanted to avoid any potential weather problems, they could have made the decision not to hold their convention in South Florida at the peak of hurricane season. Seriously, who in the Republican Party thought it would be a great idea to hold their convention in South Florida in late August? We don’t need the National Hurricane Center, and we don’t need all these weather dolts analyzing this for us. Well, we need the center, we can look at their charts and graphs, we know what to do, we can read the stuff. We don't need Big Government telling us when a hurricane is coming! OK, yes, we completely do. Check out a more detailed analysis of the Romney-Ryan oil-above-all plan from the Center for American Progress. Though it would be nice if Diehard Threads gave some of the proceeds to wildlife protection, no? 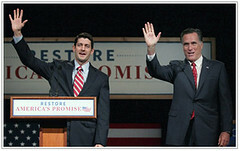 Why Do Reporters Repeat Deceptive RomneySpeak? Mitt Romney is beholden to Big Oil but knows oil drilling is much less popular than clean energy, so he uses the deceptive "energy development" and "energy production" when he really just means drilling for oil & gas and digging up coal. Romney knows voters want a level playing field for energy sources, but he also knows his energy plan plays favorites with his oil, hydrocarbon gas & coal donors while dismissing clean energy as a "failure." That's why Romney uses the deceptive terms "comprehensive energy plan" and "all of the above" when he really just means favors for his oil, gas & coal benefactors. I understand why Romney uses those deceptive terms - they're politically advantageous, while describing his actual energy plan would cost him support. What I don't understand is why reporters then parrot his deceptive terms. Why don't reporters translate RomneySpeak into actual reality? As journalism professor & media analyst Jay Rosen writes, many of the political journalists covering Romney aren't interested in what's true - they're only interested in what "works" politically. City and county leaders, already burdened with typical tasks of local governance – zoning, construction permits, liquor licenses, school board appointments – are also weighing multi-million-dollar flood control projects to keep the ocean at a livable distance. While they struggle to pull together know-how and funding, those with the broader view and resources – state agencies – are absent from the discussions: In a study released earlier this year, the Natural Resources Defense Council ranked Virginia as one of 29 states that were "largely unprepared and lagging behind" on planning for climate change at the state level. In many ways the problem is already upon Norfolk. 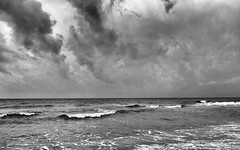 The Atlantic Ocean off Virginia's coast is rising a quarter of an inch annually, equivalent to two feet in 100 years – faster than anywhere else in the United States except for coastal Louisiana. 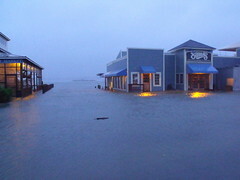 The ocean at Sewells Point, site of the Norfolk Naval Station, rose 14.5 inches between 1930 and 2010. And that's likely to accelerate. Last month the U.S. Geological Survey reported that sea levels are rising more quickly along the Atlantic coast from North Carolina to Massachusetts than globally, possibly as a result of slowing Atlantic Ocean circulation patterns. The inaction of Virginia's elected officials is actually hurting the state twice - not just paying the price of climate inaction through extreme weather and sea level rise, but hurting Virginia's economy by losing out on clean energy jobs. But hey, who has time to pay attention to looming disaster when there's women's bodies that need regulating, amirite? The area of ocean covered by ice shrank to 4.93 million square kilometers (1.9 million square miles) on average for the five days through Aug. 15, according to the latest data from the U.S. National Snow and Ice Data Center in Boulder, Colorado. With as many as five weeks of the annual melt season left, it’s already the fourth-lowest annual minimum ever measured. The shrinkage is the most visible sign of global warming according to Meier, and raises the prospect that the Arctic Ocean may become largely ice free in the summer. That opens up new shipping routes and is sparking a race for resources that’s led to Cairn Energy Plc (CNE) and Royal Dutch Shell Plc (RDSA) exploring waters off Greenland for oil and gas. Needless to say, the combination of melting ice and new drilling would be double trouble for America's polar bears. So to recap, global warming driven by carbon emissions from the burning of fossil fuels is melting the Arctic ice cap, and how do we react? By letting the oil companies that have made huge profits from their ability to release unlimited carbon pollution (and used those profits to fight climate science) move into the melted areas to drill for more fossil fuels. Meanwhile, Congress is reacting to drought conditions approaching Dust Bowl levels by moving to gut post-Dust Bowl soil conservation programs. If Jared Diamond wants to write a sequel to Collapse we're giving him plenty of material. As CREDO Action says, "The Arctic has never been drilled for oil, not even under President George W. Bush." Will President Barack Obama be the one to sign the order? Tell President Obama to say no to Arctic drilling. The group of more than 20 people gathered in Fall River's Kennedy Park, within full view of the plant's three smoke stacks, and carried homemade signs advocating for the closure of the Somerset plant. According to the U.S. Environmental Protection Agency, in 2010 a total of 147 pounds of mercury and mercury compounds were released in Massachusetts, 64 by Brayton Point. 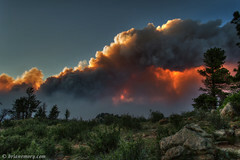 Also according to the EPA, in 2008 the power plant emitted more than 37,000 tons of toxic chemicals into the air. "This pollution doesn't only affect Somerset; the majority spreads and settles in cities and towns across a 30-mile radius from the power plant," Sylvia Broude, executive director of the Toxics Action Center, said. "We are calling on Gov. Patrick to use his power to transition Massachusetts away from coal." Rep. Cliff Stearns (R-FL) is one of Congress' craziest members, a birther who's led the GOP's witch hunt on clean energy investments and called for women who have abortions to be thrown in prison. But after last night's primary, it looks like he'll be going from crazy Congressman to crazy private citizen - he's narrowly losing his Republican primary to a local veterinarian named Ted Yoho. This is usually where I'd copy & paste some trenchant news analysis, but ... no one seems to know quite why Stearns is down by about 800 votes. Even the local Gainesville Sun seems to have no idea what happened, other than to speculate Yoho's attacks on Stearns as a corrupt career politician may have worked. But while politicos like to espouse Unified Theories that prove they're Savvy Insiders, it could simply be that in a multiple-candidate, low-turnout primary in the dog days of August, anything can happen. Yoho is being called a Tea Party candidate, but it's hard to imagine he could get much further right than Stearns, rated more conservative than GOP VP nominee Paul Ryan by the National Journal & called one of Congress' conservative leaders by the American Conservative Union. If you're a sitting Republican member of Congress, you could look at Stearns' likely loss one of two ways: How crazy do you have to be for Tea Party if Stearns may not have been crazy enough? Or, if even Stearns' craziness didn't satisfy the Tea Party, maybe Republicans are better off just doing what they think is right & playing to the middle? House Majority Leader Eric Cantor (R-VA) had stood by Stearns through all of his nuttiness. Heckuva job, Eric. Ken Pottel, a member of Windwise, said the group fears Shah could tilt the blades to slow the turbines and thus lessen the noise they make during testing. He said the group is particularly concerned about [turbine builder Sumul] Shah's ability to control the turbines remotely from his cellphone and laptop. "It's obviously in his best interest to make sure these turbines pass the test," he said. "How do we know he isn't controlling the pitch from his phone?" Shah said he not only "would not do that" but that "it is impossible for me to adjust the speed of the rotor while the turbines are spinning." Shah said he can only change the pitch of the blades when the turbine is turned off. If the turbine is on for testing, he said, its speed cannot be controlled. "I have no intention of doing that and, not only that, I can't do that; it's technologically impossible," he said. Before the turbines were built, wind opponents pushed theories with no basis in reality about health impacts. Since the turbines were built, wind opponents have been busily filing noise complaints about the near-silent turbines. Now, we have new conspiracy theories about secretly rigged sound tests. It's important that these test be completed. If the sound levels are too high, that should be addressed. But no one should be under any illusions that these tests, no matter the results, will do anything to satisfy opponents, who deny any reality that doesn't fit their pre-existing points of view. And let's be honest, views are what this is all about - "we don't think we should cut the pollution that causes global warming and asthma and puts mercury in our waterways and fish and pregnant women because we think the turbines muck up the view" is a terrible argument that doesn't sway anyone, so wind opponents try to come up with something more reasonable-sounding, hence health impacts and double-secret phone-based turbine-tampering. What we really need to test is why anyone would think opponents of wind energy can be appeased. Mitt Romney has selected Rep. Paul Ryan (R-WI) as his vice presidential running mate, and considering Mitt has chosen to run an anti-science, anti-environment, anti-clean energy, anti-middle class campaign, the choice couldn't be more perfect. Like Romney, Rep. Ryan was born on third base but thinks he hit a triple. He's become rich and powerful thanks to his family's connections, but instead of being grateful, he looks down his nose at working Americans, calling them lazy and morally bankrupt. Again, that has him in lockstep with Mitt, who thinks non-wealthy Americans hate hard work. Romney opposes environmental protections for wildlife & public lands and opposes investment in clean energy & public transportation. That makes him a big fan of The Ryan Budget, which would gut environmental laws protecting America's clean air & water and slash investments in national parks, clean energy research, and trains & buses. But on no issue are Romney & Ryan in closer lockstep than on protecting polluters' privileges. Koch Industries is Ryan's #6 donor and Ryan has spoken at the Kochs' secretive ultra-conservative retreat. He's paid the Kochs back by being a warrior for the 1%. While Romney has flip-flopped on climate science, Ryan has been a consistent denier of the scientific consensus that Earth is warming, man-made carbon pollution is to blame, and that we have a small window to cut emissions before the climate crisis spins out of control. Rep. Paul Ryan got just a 13% on the League of Conservation Voters scorecard for the 111th Congress. Lifetime, Rep. Ryan gets just a 20%. That brings us to the issue that sums up the Ryan fraud: Ryan loves taxpayer subsidies for Big Oil. Ryan wants to end Medicare to fund tax cuts for the wealthy, but doesn't think wildly-profitable private oil companies should have to give up the billions in outdated subsidies they still get from taxpayers. Why Settle for the Same Cookie-Cutter Living Space as Everyone Else? Much of this TEDx Talk displays some of the worst habits of TED Talks - I'm a jetsetter and I'm here to tell you mainstream environmental solutions are like so 5 minutes ago because NIMBLE and other buzzwords. But the concept at the heart of it is interesting - how many rooms in a typical house go unused for days at a time? Here's a test - if you visit a home with a dedicated dining room, check how much dust is on the dining table. And it's not just rooms. How much does the average bachelor use the oven he's paying to rent? Wouldn't a toaster oven and/or a hot plate save 10 square feet of floor space for a better use, save money, and be more convenient (faster heating)? The Green Miles went to the Feast of the Blessed Sacrament in New Bedford last weekend, billed as the world's largest Portuguese feast with over 100,000 visitors expected. 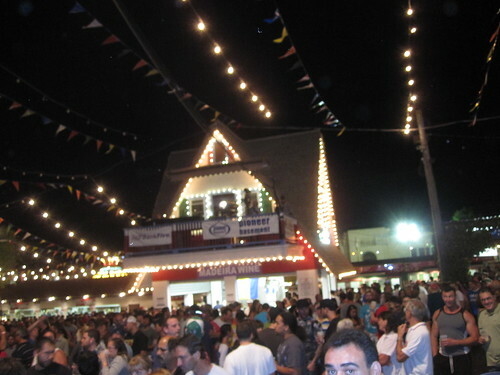 It's also one of Massachusetts' largest drinking events, with two full days and two additional nights of beer, liquor, and strong madeira wine imported exclusively for the Feast. Much like last year's Beer, Bourbon & BBQ festival at National Harbor south of DC, if you're hosting a drinking event with limited or no transit, you're turning a blind eye to drunk driving. In New Bedford's case, how much would it cost to run a bus for the weekend between the site and nearby downtowns? Isn't that cost worth preventing even one drunk driving incident? But hey, at least the Portuguese Feast stopped selling giant 20 ounce cups of 38-proof madeira, so, problem solved, amirite? and the pipeline will leave quite a scar.